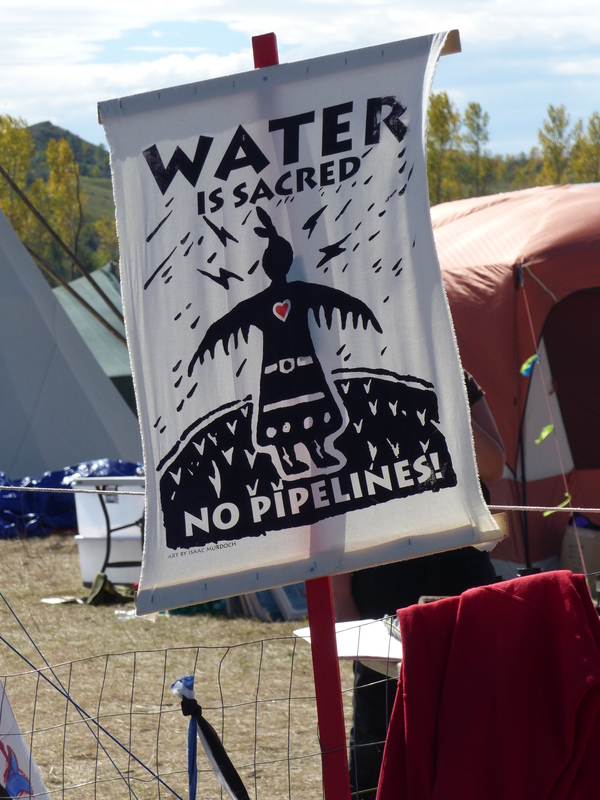 A series of local events and fundraisers are planned Saturday, Nov. 12, noon – 5 p.m. along the American Indian Cultural Corridor as part of a National Day of Action in support of the Standing Rock Sioux Nation and opposing the Dakota Access Pipeline (DAPL). The event is called “The Ave Stands with Standing Rock.” All proceeds are going to the Water Protectors. Minneapolis American Indian Center, 1530 East Franklin Ave.: $8 Jucy Lucy, $7 Indian Tacos and $3 wild rice egg rolls sold all day. Entertainment will include: Blue Dog Band, Los Nativos, and Tall Paul. Healing Station with massage therapy, herbalists and acupuncturists. Two Rivers Gallery show: “Dakota Isanti: Reclaiming Identity” and Community Sewing Bee. With the presidential election getting ever closer, time to look at efforts to restrict the voting rights of Native Americans and other people of color. On August 1, 2016, a federal district court enjoined North Dakota’s strict voter ID law and ruled that voters unable to obtain the necessary identification may vote in the upcoming election by completing a declaration or affidavit. The court agreed with the seven Native American voters that the new law disproportionately burdens Native Americans and denies qualified voters the right to vote. The AIM Interpretive Center is hosting an Open House to listen to the experiences of Native American students, parents, and teachers who were on the leading edge of reclaiming Native culture and language in their education. The Open House will have a flexible program of speakers — parents, students and staff of the Heart of the Earth Survival School and the Red School House. AIM created both schools, Heart of the Earth Survival School in Minneapolis and the Red School House in St. Paul. The two schools opened in 1972 after Congress passed Title IV of the Indian Education Act. It reversed previous federal boarding school policies and allowed Native Americans to have more control over educating their children. The Open House will have an open mic. The event is open to all. Alumni and former staff are especially invited to speak and share. This Open House is part of the AIM Interpretive Center’s ongoing photographic exhibit “Survival Schools: Education, Resilience, Resistance.” Materials from the Interpretive Center’s archives will be on display. Email inquires to info@aim-ic.com, call the center at 612-886-2107 and/or check out the Facebook Event! The New Native Theater will be hosting a play reading Friday, July 29, at All My Relations Gallery, 1414 East Franklin Avenue, starting at 7:30 p.m. It is part of the Well Red Series, which features new and classic plays from the Native American canon. The series typically is held the last Friday of the month at All My Relations Gallery. The Pezihutazizi Oyate Traditional Wacipi (Upper Sioux Community Pow Wow) will be held August 5-7 in Granite Falls. Everyone is welcome. Admission is free. Here is the flyer. A Successful Art Opening for ReFrame Minnesota: Art Beyond a Single Story! All My Relations Gallery, 1414 East Franklin, and Two Rivers Gallery, 1530 East Franklin, had an immensely successful art opening on Friday for their new joint exhibit: ReFrame Minnesota: Art Beyond a Single Story. I’d guess there were at least 100 guests. Thank you to everyone who came. Thank you especially to Taylor Payer, assistant curator at All My Relations Gallery, and Maggie Thompson at Two Rivers Gallery who invited Healing Minnesota Stories to Participate..
All My Relations features work by professional artists and Two Rivers Gallery has student art that is part of Healing Minnesota Stories traveling art exhibit. 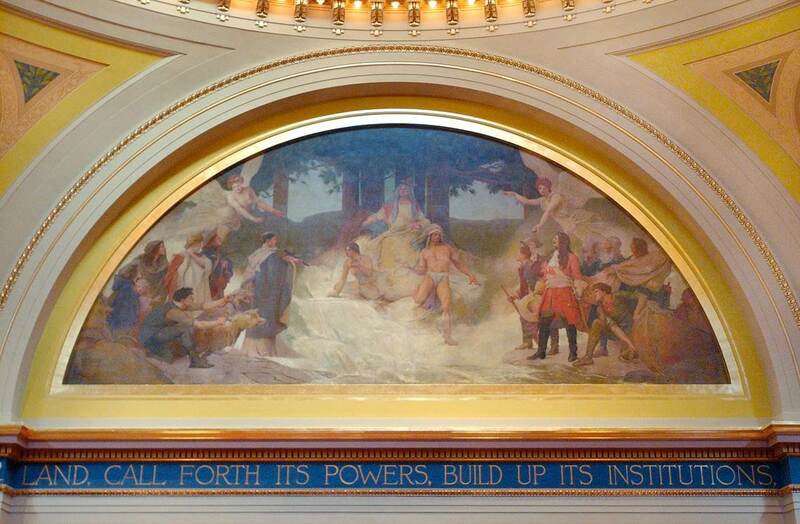 Both galleries offer an alternative narrative to the current stories of Manifest Destiny told by the historic art in the Minnesota State Capitol. It is important for lawmakers to have a counter narrative in the art they see every day. Taylor Payer checking out the art. This painting represents you and your fear. You are the tree and your fears are the leaves. You have to let your fears go. If you keep holding them, you might not learn anything. Keeping your fears are worse than letting them go. When you let your fears go you would feel more FREE, you won’t have to fear anything. Now that would be a powerful painting and statement to hang in the Capitol! If you missed the opening, there is still plenty of time to visit. The hours at All My Relations Gallery are: Tuesday to Friday, 10 a.m. to 5 p.m. and Saturday and Sunday from 11 a.m. to 5 p.m. (While you are there, get a hot cup of coffee from Pow Wow Grounds Coffee, which shares the building with the gallery.) The hours at Two Rivers Gallery are Monday and Tuesday, 10 a.m. to 4 p.m. Both galleries are free and open to the public. For more pictures from the opening, click here. For more on the controversy surrounding art in the Minnesota State Capitol, see Healing Minnesota Stories webpage and blog. Just a reminder that there is a great art show opening tonight: “ReFrame Minnesota: Art Beyond a Single Story.” A reception will be held from 6-8 p.m. at neighboring galleries, All My Relations Gallery, 1414 East Franklin Ave., and Two Rivers Gallery, 1530 East Franklin Avenue. 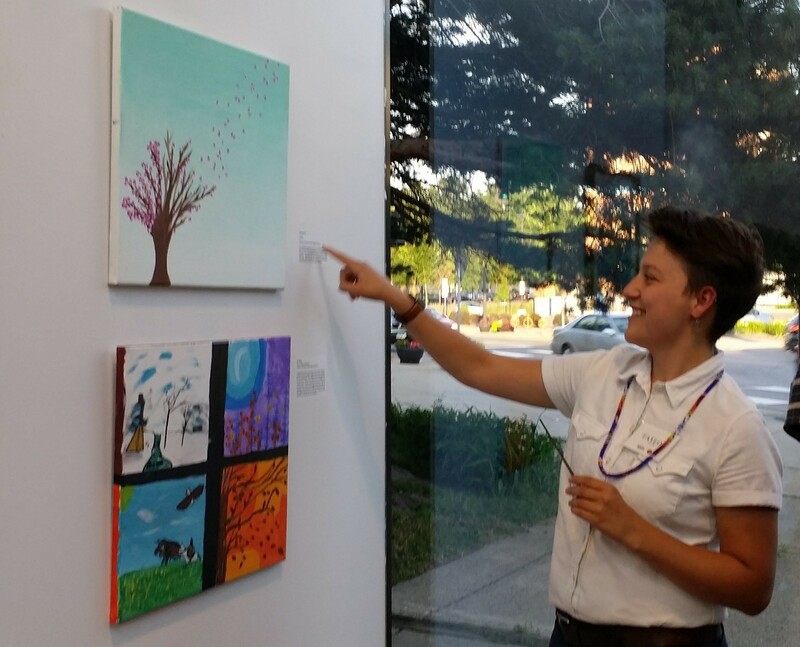 The organizers were kind enough to include pieces from Healing Minnesota Stories traveling student art exhibit in the show. Reframe Minnesota, a group exhibition shown across two art galleries along the American Indian Cultural Corridor, uses a range of visual mediums to explore the future of public art at the Minnesota State Capitol. It features original works from 12 Minnesotan artists as well as student artwork from [Minnesota] schools. In light of the ongoing State Capitol renovations and the discussions of its art Reframe Minnesota shares the diverse Minnesota stories that are too often unheard. Local artists, including painters, printmakers, photographers, and sculptors, respond to the Capitol artwork, its depictions of Native Americans, and its lack of representation for other communities of color. 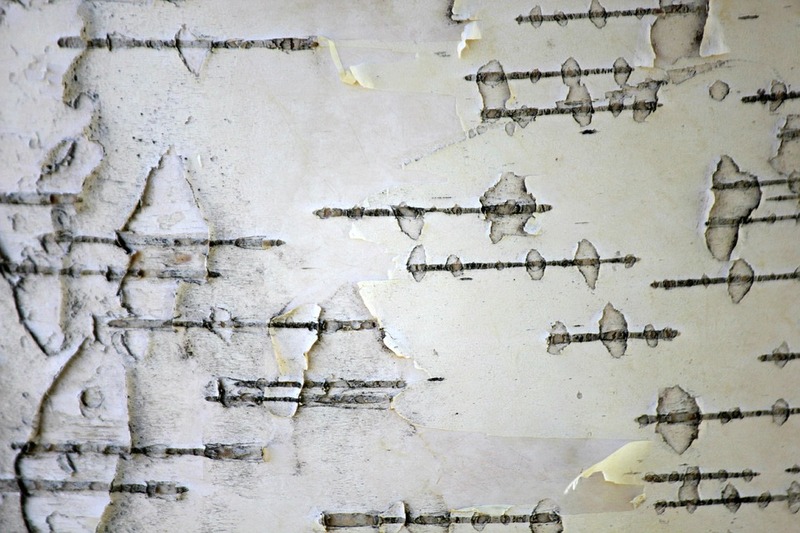 Mark your calendars for Friday, June 24, 6-8 p.m. for the new gallery show: Reframe Minnesota: Art Beyond a Single Story. It will be a joint show by neighboring galleries: All My Relations Gallery, 1414 East Franklin Ave.,and Two Rivers Gallery, 1530 East Franklin Ave.